Every year I organize a bike trip to Jim Thorpe, PA. This year we had 15 people join the fun! 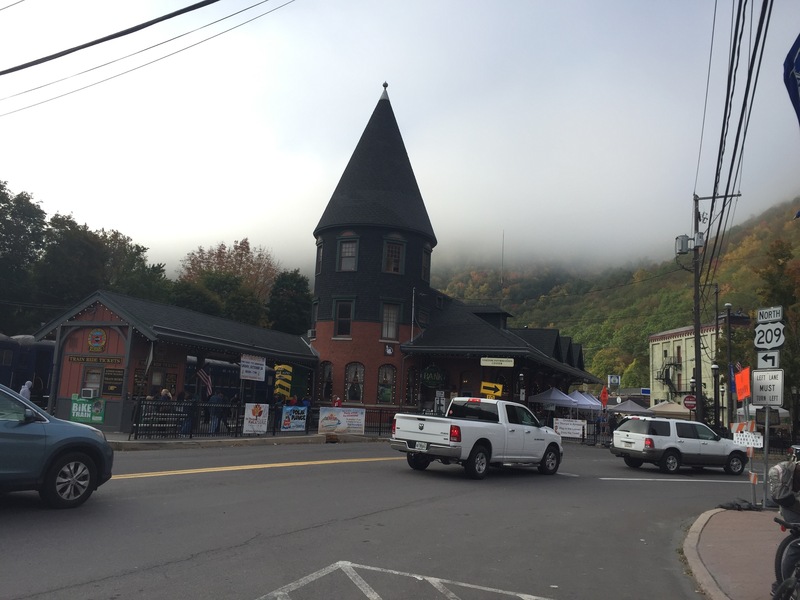 We catch a shuttle from Jim Thorpe and ride it to White Haven where we jump on our bikes and have a pleasant 25 mile ride on the Lehigh Gorge Rail Trail back to our cars in Jim Thorpe. This year the leaves were just starting to turn and there was a slight chill in the air – it was beautiful and PERFECT weather for a bike ride.